The tales of the Antietam battlefield ghosts are as numerous as they are disturbing. We have all heard the stories of the atrocities committed during the battles of the American civil war, and this battlefield was certainly no exception. 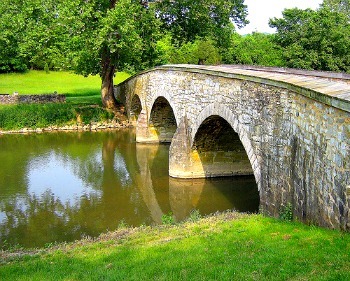 Situated along Antietam creek in Sharpsburg, Washington county, the area is protected by the national park service and gets well over 300,000 visitors every year. People come here to see the field hospital museum and visitor center, as well as to walk over the battle field ground themselves. However a few of these visitors come here for a different reason. 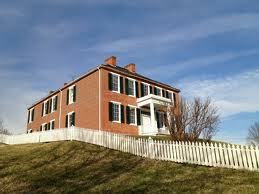 This is thought to be one of if not "the" most haunted location in the state of Maryland. 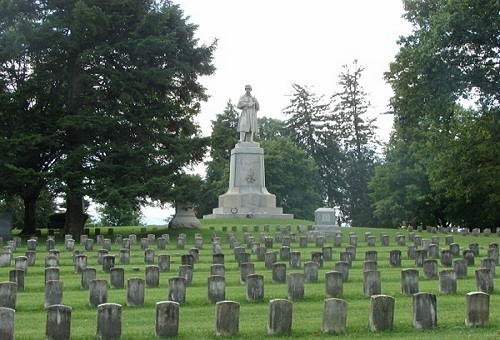 There are many stories about the Antietam Battlefield Ghosts. Probably because there are over 22,000 people who died here during a single day, and it seems alot of them were not ready to move on after they died during the fighting. The cemetery onsite only contains the bodies of union troops, as the confederate forces that fell are buried at a confederate cemetery near by. This doesn't seems to have stopped confederate spirits from lingering in the area though. One of the most active areas of the battlefield is Burnside bridge were many souls were lost from both sides as they tried to cross the creek and gain positions on the other side. The sound of distant gun fire and the smell of gun smoke has been heard and smelt all over the battlefield, but much more so around the area of the bridge. The Pry house situated on the lands was used as a confederate head quarters and is thought to be haunted by the ghost of Frances Richardson who cared for her husband there on his deathbed. All over the battlefield and cemetery, which is 11.36 acres, all kinds of spooky happenings have been reported. Visitors have commonly claimed to have seen the apparitions of both Union and Confederate troops around the area, as well as hearing the weapons they fired coming from the distance. One of the most interesting things about the Antietam battlefield ghosts is that they very often show up on photos as a ghostly mist. Now this may not sound like much as this is something that many haunted locations share, but the strange thing is that is seems alot more common here. Orbs have been captured many times on photos here but the ghostly mist seems to be alot more common. Especially when it shows up on people pictures in all different kinds of weather and has no possible explanation as to why it would be there. Its highly recommended that you visit the battlefield if you are in the area as it makes for a very interesting day out. The last little bit of information i want to include on this is a letter from a private that fought in the battle to try to give you a little bit better of an idea as to the horrors that happened in the bloodiest battle of the American civil war. 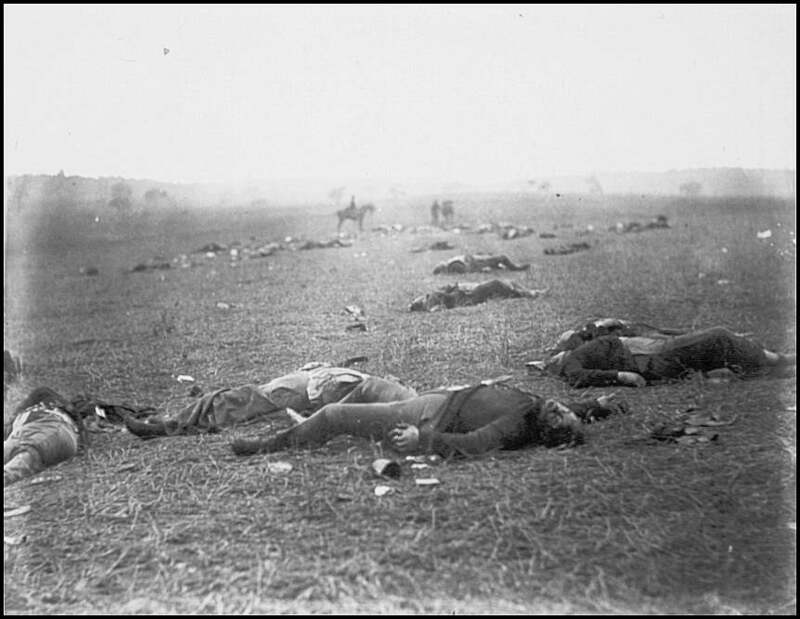 I have been this morning over the old Sharpsburg Battlefield and have witnessed the most horrible sights that my eyes ever beheld. I saw the dead in any number just lying on top of the ground, their bones bleaching and they lay by the many hundreds. Oh what a horrible sight for human beings to look upon. God grant that the time may speedily come that the peace may return to our once happy country and our lives be spared to meet each other again on earth."